ASTM B381 GR5 Titanium Extruding Tube have superior mechanical properties., and Titanium Tube have the feature of Light weight, excellent corrosion resistivity, strongly heat-resistance, high strength. Titanium have a wide use in medical, oil&gas industry, deepwater oil and shipbuilding industries, power industry, metallurgical industry, light industry, chemical industry. Features	 Light weight, excellent corrosion resistivity, strongly heat-resistance, high strength. Titanium have a wide use in medical, oil&gas industry, deepwater oil and shipbuilding industries, power industry, metallurgical industry, light industry, chemical industry. ●According to globally recognized standards, such as ASTM, AMS, ASMEand provide third-party inspection reports, DNVaccredited ISO 9001: 2008 quality management system. ●100% titanium sponge to produce titanium ingot and 3 times melting to ensure the uniformity of chemical composition. For chemical composition inspection , not only inspect the titanium ingot, but also the semi finished products and finished products, just to ensure 100% qualified products before shipping. ●Mechanical property testing making sure all titanium products can satisfy mechanical features before delivery. ●Strict inspection when producing and finished products.Visual inspection to check surface quality, ensuring without flaw, black dot and any other defects. ●Ultrasonic Flaw Detection make sure there are no defect inside. ●Chemical Composition detection make sure all chemical component can meet your demands. ● Hardness testing, Penetrant testing, Radiographic testing etc. as per your requirements. Yixin can promise all products have high traceability from ingot to finished products. PE foam + wooden case, or as you requested to ensure safety transporation. # 9 years of successful collaboration with Global Top 25 companies witnesses our stable quality and devotion on OHSE management system. Looking for ideal Titanium Extruding Tube Manufacturer & supplier ? We have a wide selection at great prices to help you get creative. All the Titanium Tube with Thick Wall are quality guaranteed. 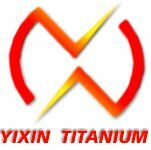 We are China Origin Factory of Titanium Alloy Tube. If you have any question, please feel free to contact us.